Clervenel St Louis's sister said he argued with everyone and was drunk or high. FORT PIERCE — A man accused of swinging a long sword and threatening to kill people told police he’d been “cursed” and was a victim of “witchcraft,” according to an arrest affidavit. Clervenel St Louis, 30, of Fort Pierce, was jailed on charges of aggravated assault with a deadly weapon without intent to kill and battery after the Oct. 27 incidents. 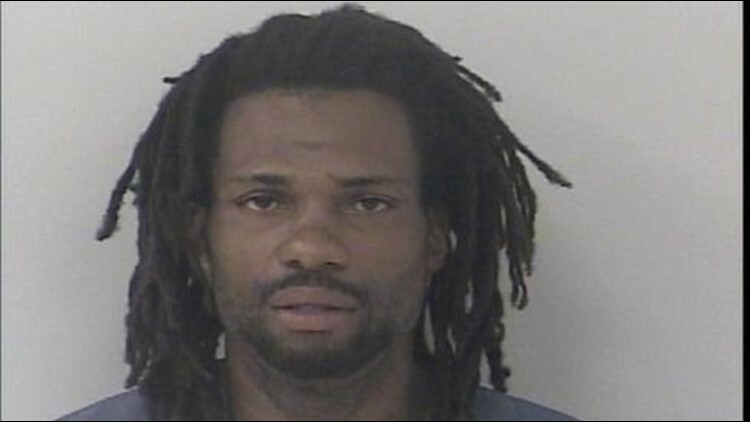 St Louis’s sister told Fort Pierce police that St Louis pulled a tan-handled, long sword on her and her child. “I’m going to kill you,” St Louis is quoted as saying. The sister said St Louis argued with everyone and was drunk or high. The sister said St Louis pushed her and started swinging the sword behind her back. She said St Louis again said he’d kill her, though added he would refrain from killing her 3-year-old son. The type of witchcraft and curse wasn’t specified. More: Is purported poop tossing woman on a roll? A witness reported St Louis threatened to kill his sister with an antique metal sword. Police didn’t find the sword.